Modifying the application to access resources in a similar pattern. Removing activity from the transaction like triggers. By default, triggers are transactional. Keeping transactions as short as possible. Table 'Products'. Scan count 1, logical reads 1, physical reads 0, read-ahead reads 0. Table 'Products'. Scan count 1, logical reads 7, physical reads 0, read-ahead reads 0. Sometimes you get a request to create a login and you want to test the permissions before letting the user know that he can use the login. you just don't feel like login in and trying to run some SQL statements for every user. SELECT permission denied on object 'test', database 'pubs', owner 'dbo'. Need to brush up on specific SQL Server tasks, procedures, or Transact-SQL commands? 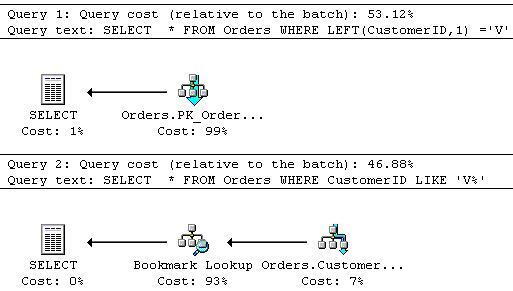 Not finding what you need from SQL Server books online? Or perhaps you just want to familiarize yourself with the practical application of new T-SQL–related features. SQL Server 2005 T-SQL Recipes: A Problem-Solution Approach is an ideal book, whatever your level as a DBA or developer. This “no-fluff” desk reference offers direct access to the information you need to get the job done. It covers basic T-SQL data manipulation, the use of stored procedures, triggers and UDFs, and advanced T-SQL techniques for database security and maintenance. It also provides hundreds of practical recipes that describe the utilities of features and functions, with a minimim of background theory. Additionally, this book provides “how-to” answers to common SQL Server T-SQL questions, conceptual overviews, and highlights of new features introduced in SQL Server 2005. It also features concise T-SQL syntax examples, and you can use the book to prepare for a SQL Server-related job interview or certification test. Whether you are interested in database administration, database development, or business intelligence, there is some free * E-Learning to help you get up to speed on the newest features of the software. The E-Learning courses, valued at $99 each, are an effective way to learn on your own schedule and feature hands-on virtual labs that provide an in-depth, online training experience. * Microsoft E-Learning for SQL Server 2005 is free until November 1, 2006. Note that this is a limited time offer and Internet connection time charges may apply. If you have never bought an issue of SQL Server Magazine then this is the month to do it. The latest issue comes with a huge SQL Server 2005 System View Poster. This poster itself is worth the price, I will get myself another issue so that I can have a poster at work and one at home. The poster contains all the system views and is organized in the following sections. SQL Server 2005 Samples and Sample Databases (December 2005). storage space" " text datatype"
what is an SQL server? Karen's SQL Blog has a blog post with a list of SQL Server 2005 sample chapters. Since I did not want to duplicate or copy the work that she has put into it I have decided to provide a link to that specific blog post here. Take a look around on her blog there are always links to interesting articles/downloads on her blog and it's updated frequently. Below are some undocumented SQL Server 2000 procedures for information about files, drives and directories. SQL Down Under has announced their latest podcast with A.C.M. Turing Award winner and Microsoft Distinguished engineer Dr Jim Gray discussing the Future of SQL Server. In this show, Jim (a database industry legend) gives his thoughts on the future directions for database products, LINQ, T-SQL and discusses his interests in spatial data. You will have to get the object id from the table to pass it into the OBJECTPROPERTY function. To get the object id you can use the OBJECT_ID function. The Microsoft OLE DB Provider for DB2 is a COM component for integrating vital data stored in IBM DB2 databases with new solutions based on Microsoft SQL Server 2005 Enterprise Edition and Developer Edition. SQL Server developers and administrators can use the provider with SQL Server Integration Services, SQL Server Analysis Services, Replication, and Distributed Query Processor. Run the self-extracting download package to create an installation folder. The single setup program will install the provider and tools on both x86 and x64 computers. Read the installation guide and Readme for more information. Note: Microsoft SQL Server 2005 Datamining Viewer Controls requires Microsoft SQL Server 2005 Analysis Services 9.0 OLE DB Provider, also available on this page. In its continued commitment to interoperability, Microsoft will release and support a new Java Database Connectivity (JDBC) driver for SQL Server 2005. The SQL Server 2005 JDBC Driver download is available to all SQL Server users at no additional charge and provides access to SQL Server 2000 and SQL Server 2005 from any Java application, application server, or Java-enabled applet. This is a Type 4 JDBC driver that provides de-facto database connectivity through the standard JDBC application programming interfaces (APIs) available in J2EE (Java2 Enterprise Edition). Use SQL Server 2005 Mobile Edition (SQL Server Mobile) to rapidly develop applications that extend enterprise data management capabilities to mobile devices. For the latest SQL Server Mobile add-ins, updates, tools, and components, visit the SQL Server Mobile Download site. SQL Server 2005 includes support for accessing SAP data by using the Microsoft .NET Data Provider for mySAP Business Suite. This provider lets you create an Integration Services package that can connect to a mySAP Business Suite solution and then execute commands to access data via supported interfaces. You can also create Reporting Services reports against a server running the mySAP Business Suite.You can use the Microsoft .NET Data Provider for mySAP Business Suite in the SQL Server Import and Export Wizard and in various Integration Services features (including the Script task, the DataReader Source component, and the Script component), as well as the data processing extensions in Reporting Services.The Microsoft .NET Data Provider for mySAP Business Suite is not included in SQL Server 2005. The preview version is licensed as pre-release software as outlined in the License Terms. See the Readme included with the download for information on the prerequisites for using the Microsoft .NET Data Provider for mySAP Business Suite. The Reporting Add-In for Microsoft Visual Web Developer 2005 Express includes a ReportViewer control, an integrated report designer, and a comprehensive API that lets you customize run-time functionality. You can use the control to add interactive real-time data reports to your ASP.NET Web applications. Reports can use data from any ADO.NET DataTable or custom Business object. You can create reports that combine tabular, matrix, and visual data in free-form or traditional report layouts. An integrated report designer is included so that you can create the custom reports that bind to the control.The Reporting Add-In is the same reporting component that is included with other editions of Visual Studio, but without support for Windows Forms applications. For more information including product documentation and samples, see the ReportViewer Controls (Visual Studio) topic on MSDN. 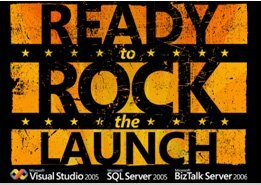 I have attended the SQL Server 2005 Launch In Philadelphia. It was very informative I learned some stuff I didn't know and saw some usefull implementations of the new features. There were about 30-40 vendors present. The one vendor that I hoped would be there was not. This company is red-gate and they are the makers of a product called SQL Compare I have used this product for about 2 years now and was hoping to speak to someone and letting them know how much I liked their product. The Architecting Scalable Flexible and Secure Database Systems track was interesting as well as all the others. What kind of goodies did you receive here? Of course everyone received SQL 2005 Standard and Visual studio 2005 Standard Editions. Also included was Windows 2003 Server R2 RC1, Biztalk server 2006 CTP, A free exam voucher, free Biztalk 2006 Developer Edition download (after registering for the beta download) and a shirt of course (ironically Philadelphia is not mentioned on the shirt). To find all your foreign and primary keys in your database run the code below. I have 2 store credits one for Borders and the other one for Barnes and Noble. So I decided to buy the Pro SQL server 2005 and SQL Server 2005 Administrators Companion this Saturday. I first went to Barnes and Noble and no books. So that already damped my mood. Next I decided to go to Borders and the same thing no books either. This really made me furious, how long does it take for a store to get the books? I wanted instant gratification and I can’t have any. So I went home and ordered them on Amazon I just hope I will get them by Wednesday. 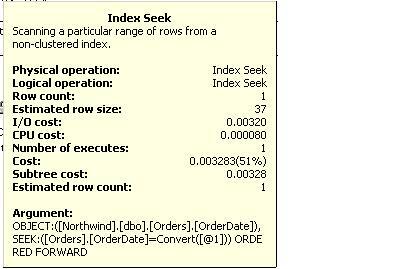 How do you do this in SQL server? Below are two ways to accomplish this. How do you accomplish that in SQL? These are the top SQL Searches on this site for the month of October. SQL Server 2005 and Visual Studio 2005 are released!!! This is my top 3 SQL server books. I must tell you that it is much better than I would ever have expected. There are so many cool things that I didn't know you could do in SQL Server, the chapter about undocumented things is a gem. The Database Engine is the core service for storing, processing and securing data. The Database Engine provides controlled access and rapid transaction processing to meet the requirements of the most demanding data consuming applications within your enterprise. The Database Engine also provides rich support for sustaining high availability. 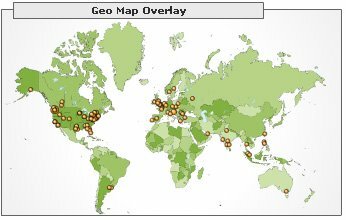 Analysis Services delivers online analytical processing (OLAP) and data mining functionality for business intelligence applications. Analysis Services supports OLAP by allowing you to design, create, and manage multidimensional structures that contain data aggregated from other data sources, such as relational databases. For data mining applications, Analysis Services enables you to design, create, and visualize data mining models. These mining models can be constructed from other data sources by using a wide variety of industry-standard data mining algorithms. Reporting Services delivers enterprise, Web-enabled reporting functionality so you can create reports that draw content from a variety of data sources, publish reports in various formats, and centrally manage security and subscriptions. Notification Services is an environment for developing and deploying applications that generate and send notifications. You can use Notification Services to generate and send timely, personalized messages to thousands or millions of subscribers, and can deliver the messages to a variety of devices. Service Broker helps developers build scalable, secure database applications. This new Database Engine technology provides a message-based communication platform that enables independent application components to perform as a functioning whole. Service Broker includes infrastructure for asynchronous programming that can be used for applications within a single database or a single instance, and also for distributed applications. Full-Text Search contains the functionality you can use to issue full-text queries against plain character-based data in SQL Server tables. Full-text queries can include words and phrases, or multiple forms of a word or phrase. 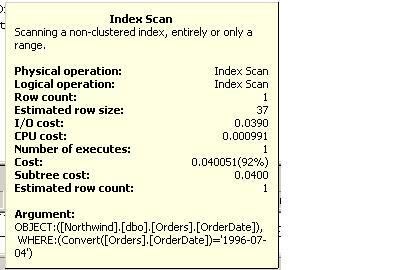 When you do this the nonclustered indexes are dropped and recreated twice, once when you drop the clustered index and then again when you create the clustered index. Use the DROP_EXISTING clause of the CREATE INDEX statement, this recreates the clustered indexes in one atomic step, avoiding recreating the nonclustered indexes since the clustered index key values used by the row locators remain the same. 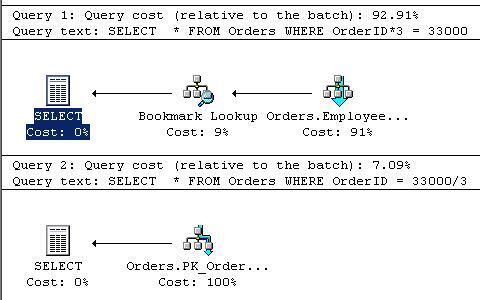 The query below returns all logins whose role is a certain role. Can perform any activity in SQL Server. Can set serverwide configuration options, shut down the server. Can manage linked servers and startup procedures. Can manage logins and CREATE DATABASE permissions, also read error logs and change passwords. Can manage processes running in SQL Server. 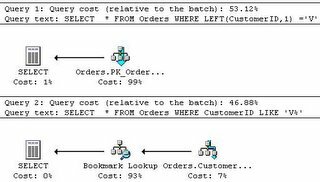 Can create, alter, and drop databases. Can execute BULK INSERT statements. The trick to create date ranges without loops is to use a pivot table. How to pin a table? SQL Down Under show 7 with guest Roger Wolter discussing SQL Server Express is now available for download from www.sqldownunder.com. According to Joe Celko this should always happen on the client side, but in case you ever need it (for example in DTS when you have to output to a file) here is the SQL code.